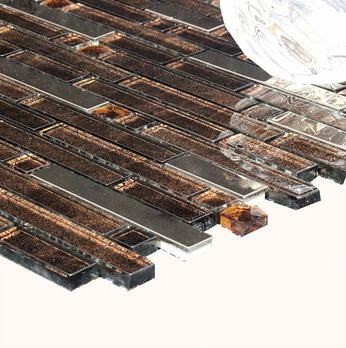 Classy and distinctive Bronzed Jewelled Glass Mosaics have a glossy appearance which helps to produce a shimmering glow upon walls. 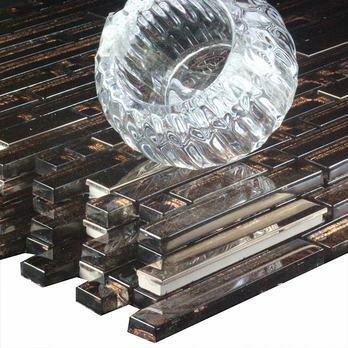 These decorative mosaics look truly exquisite as part of a border design or splash back. 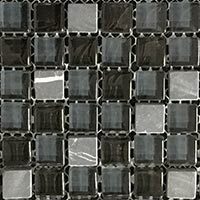 Not only will they help to transform your kitchen or bathroom from a style perspective but the sleek finish also makes them easy to clean and low maintenance. 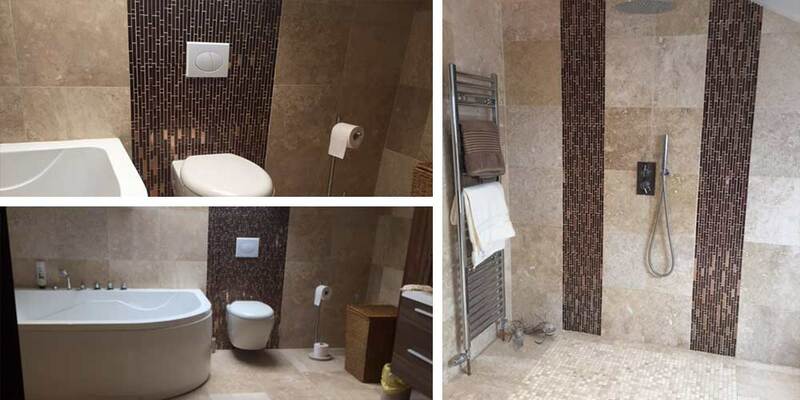 The pattern of this mosaic comprises of both rectangular and square formats, therefore producing a decorative style. 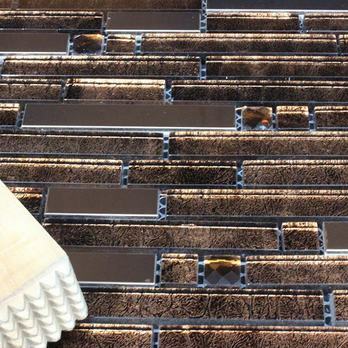 They are attached to a mesh sheet which enables you to apply them to walls as part of DIY tiling projects. 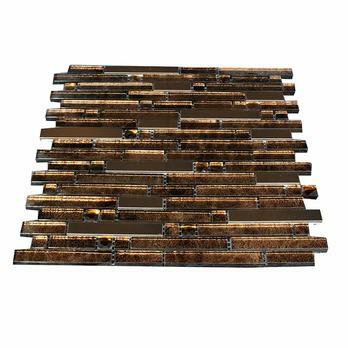 You can incorporate them within a contemporary wall design. 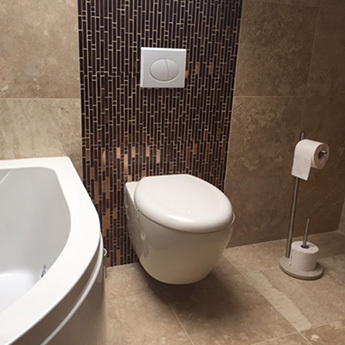 If you would like to find out more please get in touch with Tilesporcelain today.